Abstract—In our attempt to shed some light on the potential role that micro- courses may play in the distance education, we have tried to from four aspects to focus on the feasibility of application of micro- courses in distance education. Firstly, summarize -the concepts and definitions of Micro-course. Secondly, examples -make a brief description and analysis of the situation of micro-course, such as research papers, the existing micro-course resources as well as the classification. Thirdly, analysis-analyze the feasibility of application of microcourses in distance education, we concluded that the two can complement each other, make up for their shortcomings. Finally, summary-we put forward micro-course design principles in distance education and extract the micro- course design model. Index Terms—Micro-course, distance education, on-line course, design. Tianxiang Hou and Xuerong Gou are with the Beijing University of Posts and Telecommunications, Beijing, 100876, China (e-mail: houtianxiang12@126.com, xrg@126.com). Yingfang Gao is with the Shanghai International Studies University, Shanghai, 200080, China (e-mail: ning0yun@yeah.net). 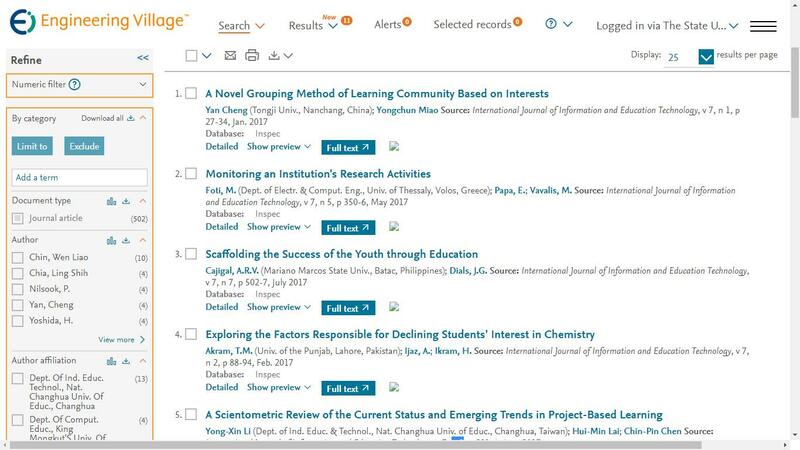 Cite: Tianxiang Hou, Xuerong Gou, and Yingfang Gao, "Preliminary Application of Micro-Course in Distance Education," International Journal of Information and Education Technology vol. 6, no. 2, pp. 132-136, 2016.